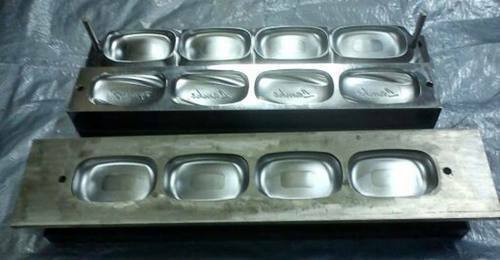 We are a leading Manufacturer of stamper soap mould from Mumbai, India. Being a well established organization, we bring forth an excellent assortment of Soap Mould for Stamper. Our offered soap mould is widely acknowledged by our clients for its accurate dimension and fine finish. Provided soap mould is manufactured by our proficient professionals utilizing excellent quality raw material and progressive technology. Moreover, this soap mould is available in different sizes and specifications. Looking for “Stamper Soap Mould”?